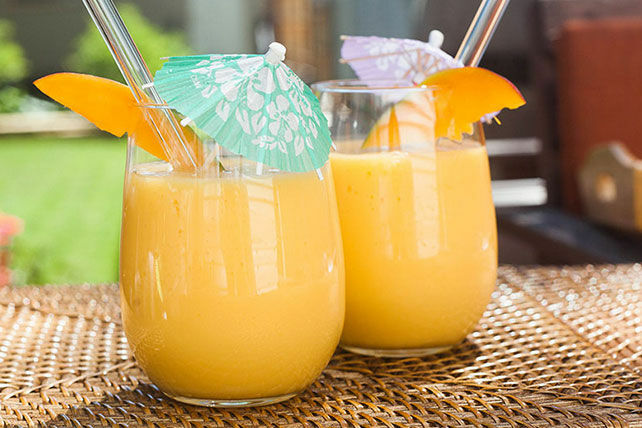 Vanilla yogurt makes this Mango-Lemonade Smoothie recipe both creamy and delicious - perfect for sharing with friends and family! Garnish each serving with a wedge of fresh mango. Add 1/2 banana before blending as directed.